We are truly excited to have you as part of our family at Central Arkansas Christian Schools. If you are new to our school, I want to personally share with you our vision for our students and our school family. 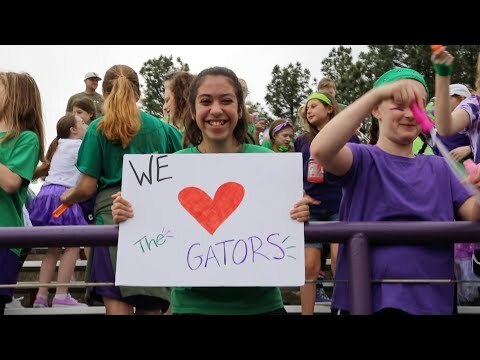 Founded in 1971, CAC is an independent private school dedicated to providing each student with the highest quality academic, spiritual, social and physical education in an encouraging Christian environment. With three campuses, our school serves students in grades pre-K 3 through 12 in Little Rock, North Little Rock and Maumelle, Arkansas. At CAC, we believe the key to student success is modeling the example of love and purpose shown to us by Jesus Christ. Our dedicated teachers and coaches encourage our students to fortify their personal relationships with God and challenge them to use their talents to achieve their full potential in all facets of their being in order to bring glory to God. With Jesus’ command in Mark 12:30 as our guiding principle and cornerstone of all of our education programs, we partner with parents to help prepare our students intellectually, spiritually and physically for life outside of our halls. Year after year we achieve this goal through an academically challenging and spiritually encouraging curriculum and by inspiring students of all ages to participate in our many extracurricular activities and outreach organizations. From our athletic programs, to our student and faculty-led outreach group called Mustang Missions, we view each of these programs as an opportunity for students to use their talents to glorify God while growing into future Christian church, civic and family leaders.